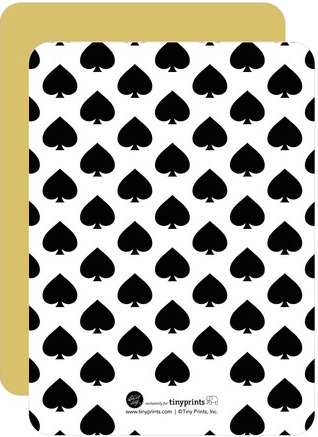 If in case you hadn’t previously read, this August, I’ll be in my friend A’s wedding. A and I have been friends for ~12 years, but even if you only knew her for 12 minutes, you’d know in a heartbeat that her lifelong goal is to basically be Barbie. 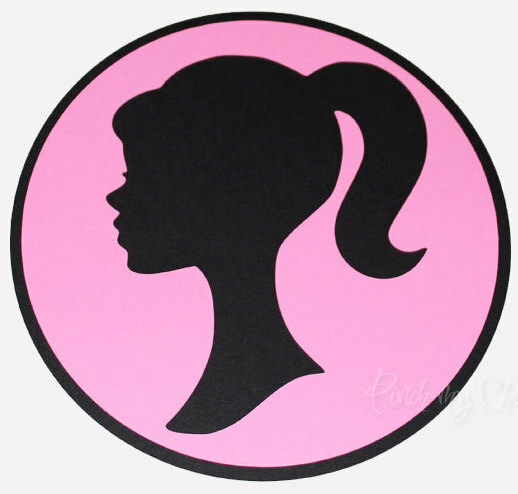 With her blonde hair, hot pink bedroom, and a Mustang convertible, she’s fairly close to achieving her dream. The only thing that could make it better is if she had a Barbie Dreamhouse to live in, and thanks to the Palms Hotel in Las Vegas such a thing might actually exist. 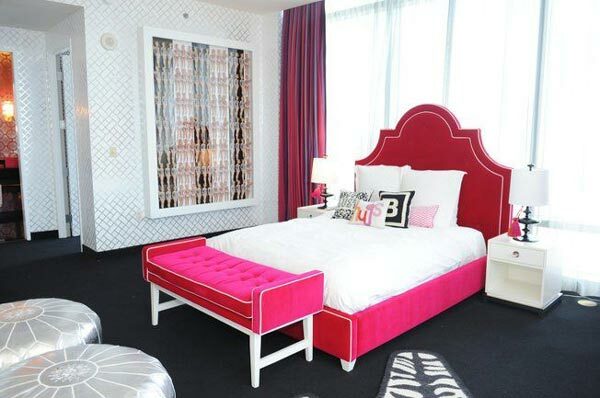 Called The Hot Pink Suite, it was built six years ago in celebration of Barbie’s 50th Anniversary. It has only one bedroom, equipped with a king bed, but one can request a connecting room that has two queen beds, so that a total of six guests can stay in the suite. With a grand total of 3.5 bathrooms, including one shower with a stripper pole, there’s no shortage of well-lit mirrors for primping before a night out. Probably one of my most favorite things about this suite (other than it’s adorable charm), is that the Palms offers it as part of a pretty affordable Bachelorette package. Along with two nights in the suite, your group is entitled to a VIP table and 2 bottles at Ghostbar (the hotel’s nightclub), dinner reservations at either of the hotel’s restaurants, 50 minute massages for 6 (!!!!!! ), and airport pick up/drop off. 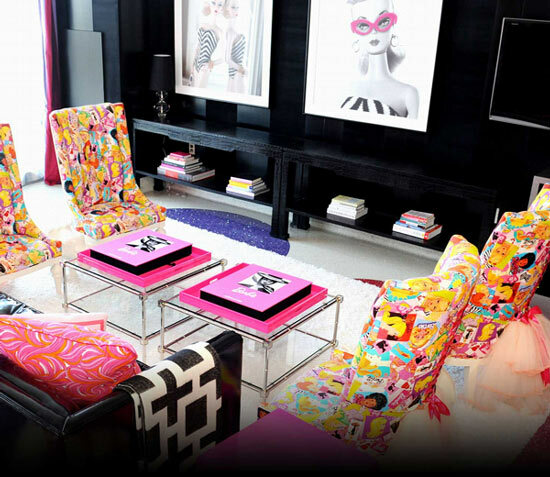 The whole package begins at $3000, with additional amenities able to added upon request. It seems like a whopping sum, but with bottle service and massages already included, the bundled deal saves you money on experiences you’d most likely be spending money on anyways. 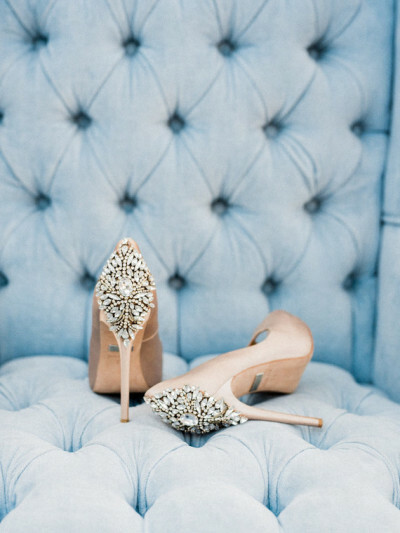 Bottle service typically costs several hundred dollars (and you know the bride will definitely be requesting drinks), so it’s practically a bargain at $500 per person for the total package (assuming the cost of the bride is being covered by the party). 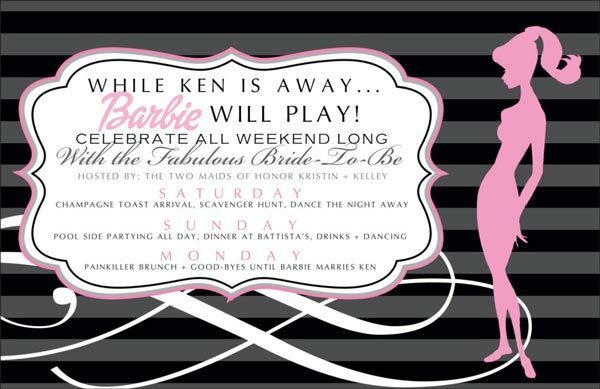 Get everyone in the mood for a Barbie-themed blowout by sending out Vegas or Barbie-themed invitations. 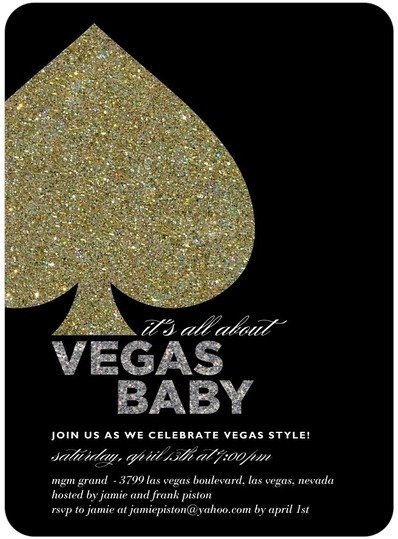 For some Las Vegas Glitz and Glam, check out TinyPrints, for an invitation overdone with a giant glittery spade. It’s surprisingly difficult to find Barbie invitations, but thanks to Etsy, I was able to find a vintage Barbie invitation and a simplistic one, branded with the Barbie logo. Stay tuned for more details about decorations, costumes, favors, decorations and all of the crazy shenanigans we plan on getting into!